So I have this weird thing about fruit being cooked with meat. I think it’s…well, weird. I don’t mean lemons or tomatoes, I mean like fruity fruits (apples, nectarines, grapes, pears, etc.). And despite being proven wrong each and every time I finally try a dish that is both fruit and meat (check out one of my absolute favorite dishes here), I still feel funny about it! 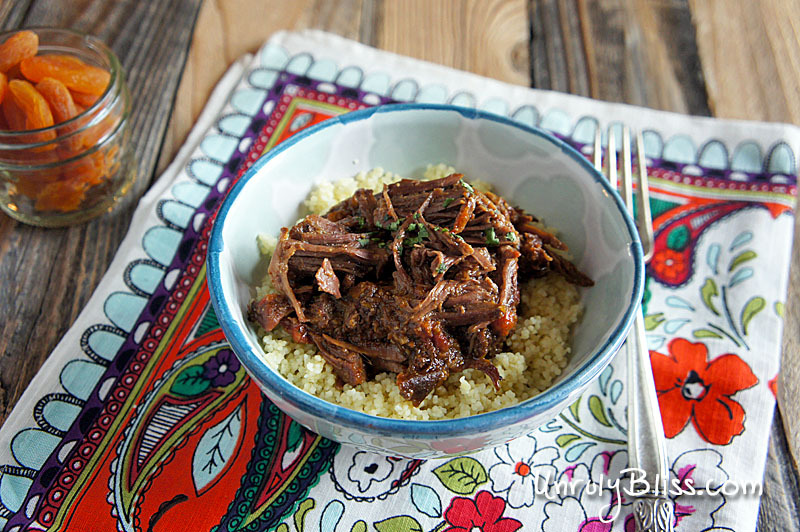 I kept putting off trying this Moroccan dish, but we loved it so much when we made this that we’ve probably made it about 3 or 4 more times since! The rib meat just simply falls off the bone and all of the flavors that have cooked together for over 6 hours are just heavenly. 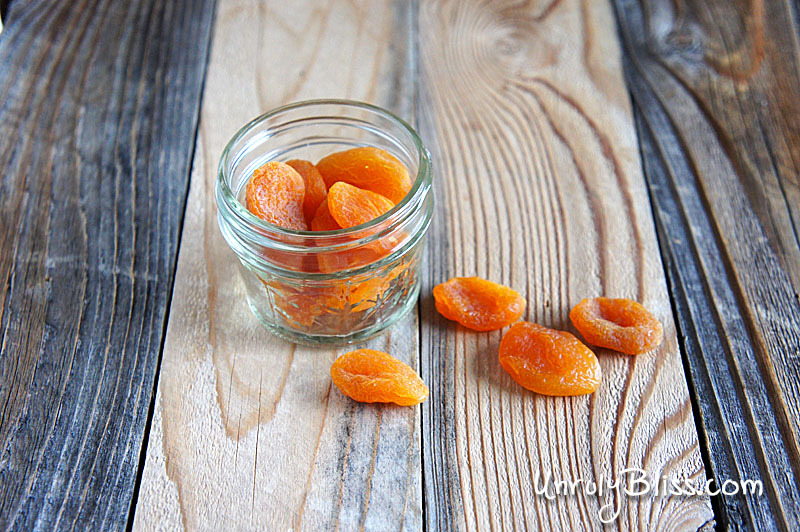 The weirdo fruit aspect comes in with…TA-DAAAAA…APRICOTS! The dried apricots taste so, so good in this dish that I find myself seeking them out to make sure I have an apricot piece with each bite I take. Another win for Team Fruit-n-Meat. 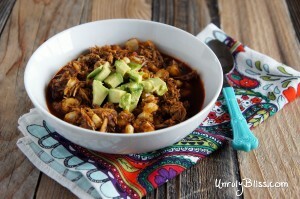 *Also, I should note…this is one of the most easiest dishes to make in the morning before you leave for work! Not only do you barely have to do anything when you come home, but your house smells like a lovely Moroccan festival when you walk in the door. Recipe by Chris Morocco for Real Simple Magazine, August 2014 issue. Combine the short ribs, tomatoes (and their juices), garlic, apricots, olives, ginger, cumin, cinnamon, and 1 teaspoon each of salt and pepper in a 4- to 6-quart slow cooker. Cover and cook until the beef is tender, on low for 7 to 8 hours or on high for 5 to 6 hours. Ten minutes before serving, cook the couscous according to the package directions. 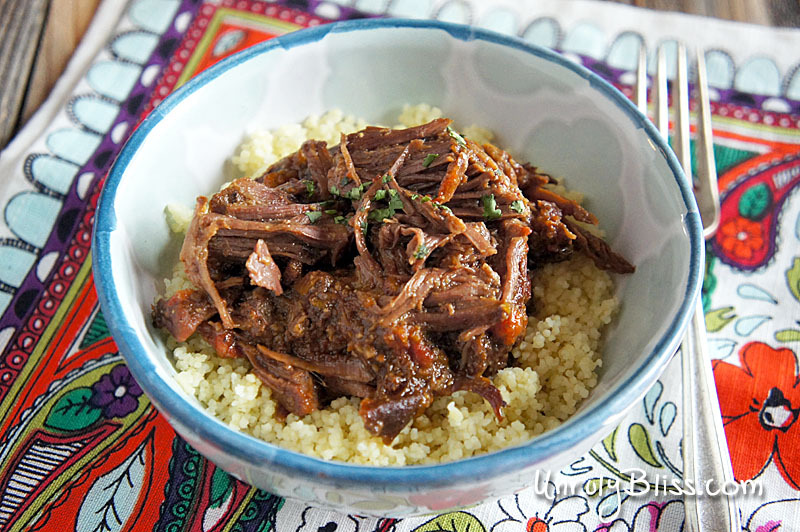 Serve the short ribs over the couscous, topped with the cilantro.